In Civilization VI (Civ 6), religion is more important than ever before. For example some people are dedicated themselves to spread religion and belief. India and Spain are two civilizations with which religion is particularly concerned. 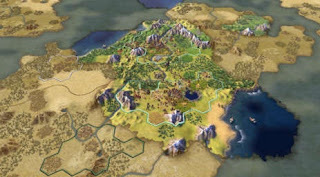 Civ 6 would not be civilization if the approach of the cultures were not completely different. The Spaniards receive military advantages and the Indians are satisfied as long as faith is spread. Through religion and faith, you gain special units that can even fight with lightning and can convert other civilizations. Beliefs are similar to gold, production, culture and science. You gather them through buildings, trade, districts or worlds. You generate faith through Holy Places and any religious buildings within the district. In these buildings, you can store relics. This gives you not only bonuses on the created faith, but also attracts tourists. With faith, you can buy units and buildings. Not everything is to buy with faith and you must expand your district’s holy place as far as possible. Religious units can only be acquired with faith. In addition you can buy this method very quickly and spontaneously city walls. The Pantheon is not the same as the religions, but only a precursor. Before you can start building religions, you can set the first belief bonuses. You choose a property of your Pantheon and this will accompany you throughout the game as it is added to the properties of a later religion. For you to base a religion, you must have a Great Prophet. This is the only possibility and you can only get a great prophet once. By establishing a religion, the city in which the prophet proclaims his faith is a holy city. If you have a prophet, you cannot get any more. However, you can modify religion in relation to its name and symbol, but the bonuses remain the same. You choose the bonuses of your religion in the beginning and you can further expand them by means of missionaries. Your religion starts with two bonuses and can be brought to four bonuses with the apostle. It is important that you receive your Founder's Bonus when you create a religion. There are also limited bonuses for people who follow a different religion. In this case, as a founder, you will get all the benefits and the other civilizations only the follow-up bonuses. Each religion has its own religious building, which also gives an advantage over "religious" holy buildings. With faith you can buy missionaries, inquisitors and apostles. Missionaries can be sent to spread the faith in foreign and own cities. They are consumable as well as craftsmen, which is why you should choose where you place them. Apostles are much more expensive and can also spread religion. In addition, it is possible for them to mission your religion, giving you new bonuses. The Apostles can continue to launch an Inquisition or cry out for a religious war. Once you have started an inquisition, you can train inquisitors who are able to restrict and weaken other religions. The units don’t heal on command, but you have to send them back to the Holy Places. Your religious units can fight each other. The outcome of the struggle is enormously important for spreading the faith. The winner strengthens the faith of the cities in the area and the loser loses his followers in part. Missionaries can only defend themselves, while Apostles can attack and kill other units. Furthermore, your Inquisition can cause a Casus Belli. This is kind of justification for the war against another civilization.